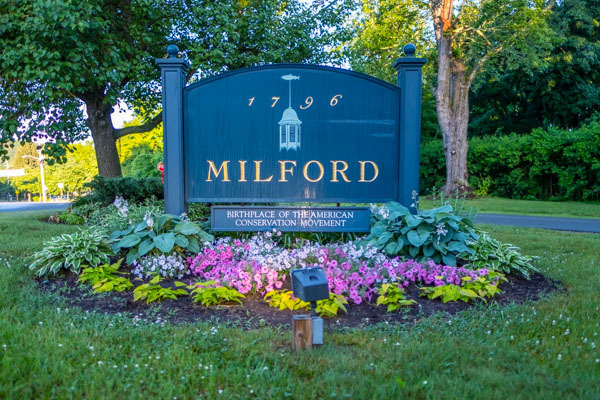 Milford was an early “planned” community, laid out after the Revolutionary War by Judge John Biddis. Biddis was a riding circuit court judge responsible for much of northeast Pennsylvania. 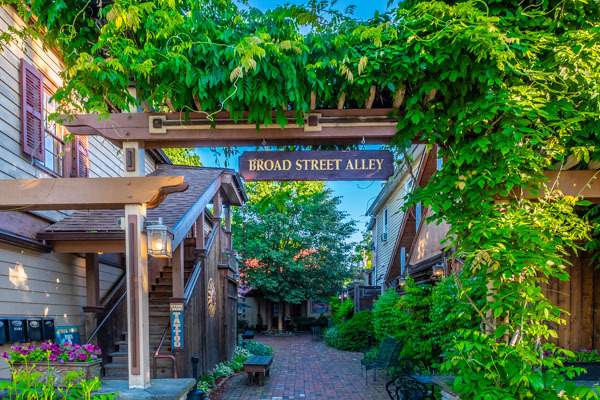 When he purchased the land between the Sawkill and Vandermark creeks, he chose to model the street and alley pattern after Philadelphia, the nation’s first capital. 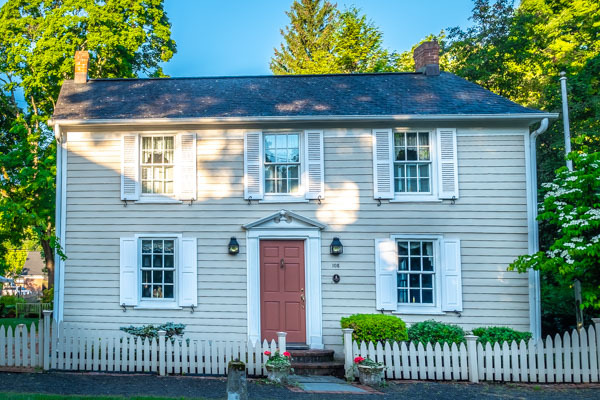 It is no surprise that Atlantic Magazine once called Milford “the prettiest county seat in America.” The streets were named after Biddis’ children and alleys were named after fruit trees and berry bushes found in the area. The thought and care put into the community’s initial layout is evident today, with several public squares, wide streets lined with shade trees and attractive municipal improvements. 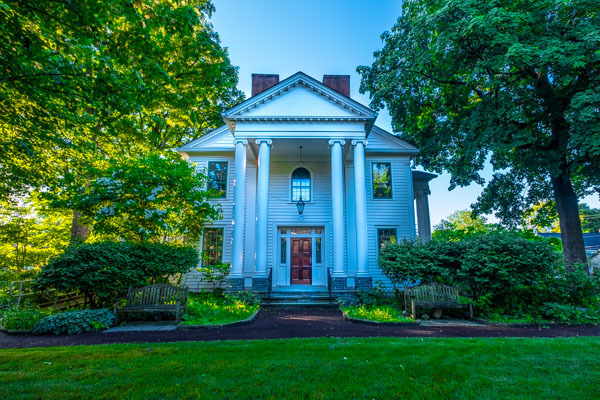 Several of the greatest American architects of the 19th century have examples of their work in Milford. 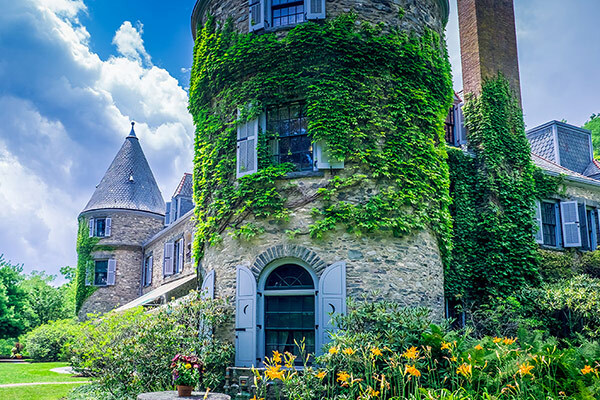 Grey Towers National Historic Landmark was designed by Richard Morris Hunt. Calvert Vaux designed Milford’s old post office, which is now the Forest Hall Gallery, at the corner of Broad and Harford Streets. Hunt & Hunt, the sons of Richard Morris Hunt, designed the balance of what is now, in conjunction with the Vaux Building, known as Forest Hall. Originally built to be the summer school for Yale University’s School of Forestry, today Forest Hall houses several antique shops and galleries. Frederick Law Olmsted, Jr., designed part of the Milford Cemetery and its similarity to other Olmsted-designed landscapes is evident. 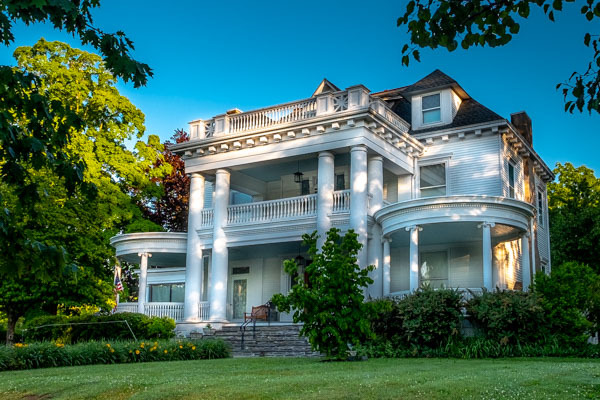 Private residences in the area include work by McKim, Mead & White, Chester Aldrich, Frank Lloyd Wright-inspired Usonian homes and many beautiful examples of 19th century vernacular architecture. Milford’s tradition of exceptional architecture and design continues today, and the Milford Enhancement Committee has led a wide ranging long-term project to improve public spaces in Milford, particularly along the main commercial streets, with bluestone sidewalks, granite curbing, new landscaping and pedestrian lights. Milford has a great variety of shops with something for everyone, from classic Italian gourmet groceries at Fretta’s, and specialized olive oil and vinegars at Ghiggeri’s, women’s fashion at Underground, stylish gifts for the home at Upriver, a plethora of antiques, including vintage designer clothing at Forest Hall, to hand-made cupcakes at Sweet Sweet Wonderland, baked goods at The Patisserie and the Waterwheel, casual clothing at Lake Bum Apparel, a day spa at Badea, antique, vintage and modern lifestyle products at Willow, and Since Yesterday. The Lumberyard also features two excellent antique lofts with different vendors and a clothing store. For outdoor sportsmen and women there are three cool stores: Action Bikes on Broad Street, Sawkill Creek Outfitters at the Mill, and Pike County Outfitters at Apple Valley. 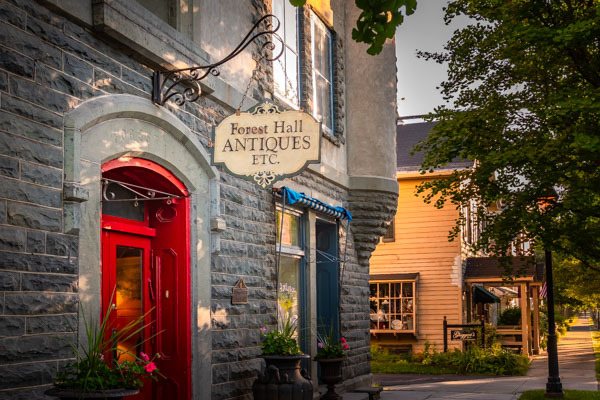 With too many stores to list you will find many more along Broad Street, Harford Street and their side streets. Milford also has great restaurants that cater to a variety of tastes and price points: The Milford Diner, Fretta’s, The Dairy Bar ice cream, The Waterwheel restaurant, bar and bakery, Holy Crepes, Chang Mao Chinese restaurant, The Dimmick Inn, Bar Louis and The Porch at the Hotel Fauchere, The Patisserie Fauchere, 403 Broad, The Frisky Goat coffee shop, Jive Bar and Lounge, Naked Bagel deli, and more along Broad Street, Harford Street and their side streets.